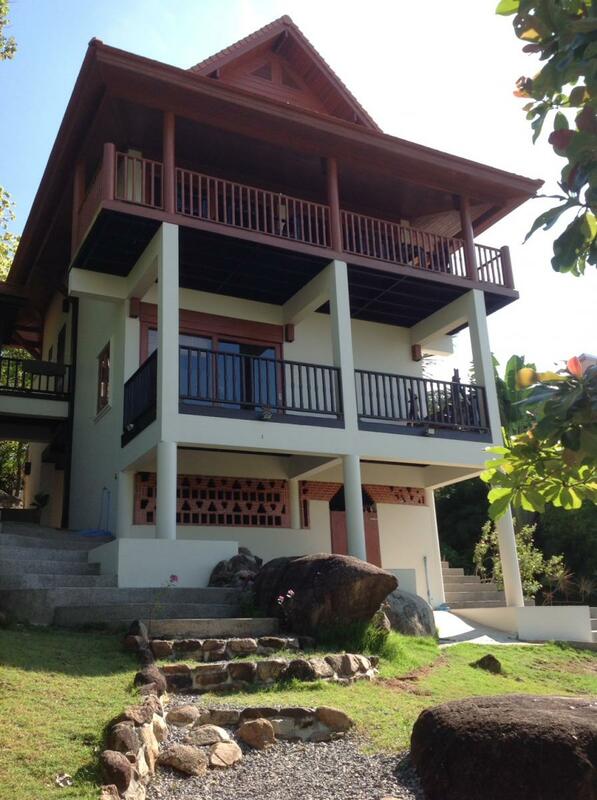 Welcome to Baan Siam Phangan – a large 2 bedroom house for rent in Koh Phangan, Thailand. Come and enjoy the beautiful Sea & Mountain Views with us! Just 2 minute walk from Nai Wok Beach and 10 mins from Thong Sala. Close to food market & stalls, restaurants and supemarkets. This is a great base for short-term exploring or long-term island living! Perfect for families or a small group of friends. Located 2-3 minutes from the Sunset Beach at Ao Nai Wok. Only 5 minutes walk to 7/11 and local shops & restaurants. Walk to Thong Sala in 10 minutes and you’ll find a wide selection of shops, restaurants and local Thai food markets for both fresh & ready-prepared food. Baan Siam is bigger than most bungalows & villas available for rent. It has a large, landscaped garden with many areas to explore. It also includes an outdoor eating/BBQ area. It also includes a workspace for digital nomads, freelancers and business owners. 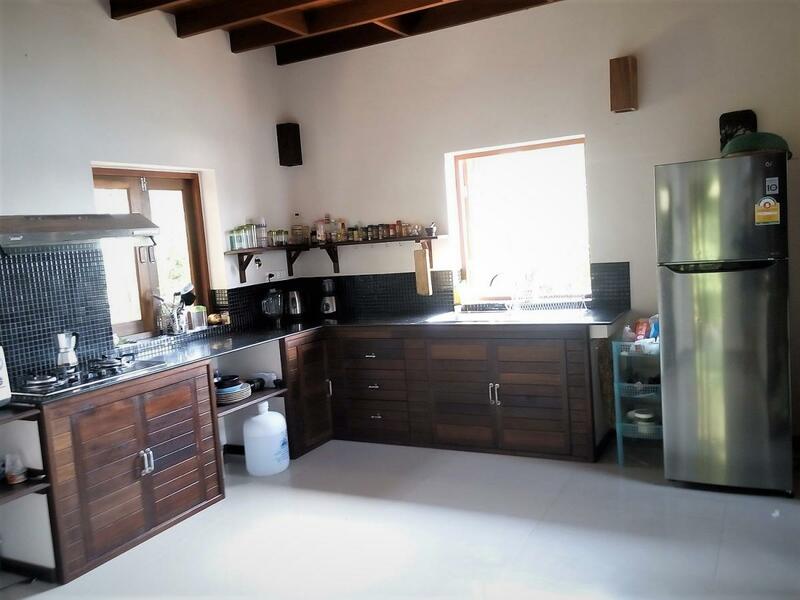 This house is the ideal location for long-term rentals and for short-term visitors that want to explore the island. We welcome long-term bookings and offer a discount on our listed prices. Check our calendar for availability or send us a message. One of the best places on the island! Superb location, comfortable and spacious house. Fully equipped, absolutely amazing views you wont be able to get off the terrace. Highly super recommended..
We stayed in Baan Siam for 9 nights and loved it! The house is beautiful with great views to the sea from the balcony. It was the perfect place for us. 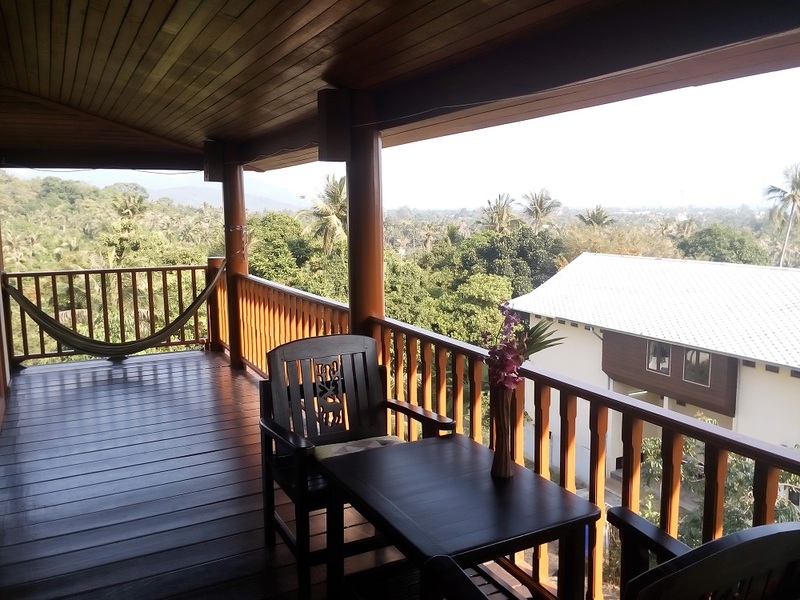 After traveling though Thailand with the children, which required booking two rooms in most hotels, Baan Siam provided us with the space we needed. The children slept downstairs and we slept in the upstairs bedroom. The town is not far, and we often walked into town to the food market, but when going to the beaches in the North and East of the island it was easy to take a taxi from the end of the drive. We had a lovely time on Koh Pagnan and the house was brilliant!. Amazing value for money for this excellent villa. The location is perfect: isolated from any noise, 15 minutes walk to the main city and on the road to the west coast's beautiful beaches. The living room's balcony was probably what made this villa so special. Perfectly located house, great view, lovely terrace. The place is quiet, the view from the terrace is very beautiful. The house itself is very comfortable, we felt at home. The ideal place to get away from the busy city life, enjoying the beaches, fantastic local food and friendly people in Koh Phangan. This is something special away from the touristy places but with easy access to beaches, markets, nature and outdoor activities. Suay mag mag ! 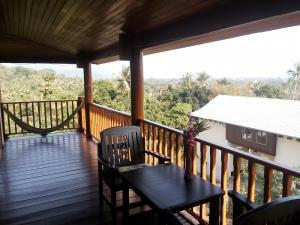 It is a superbly comfortable house with a fab view and great service. Recommended!!! 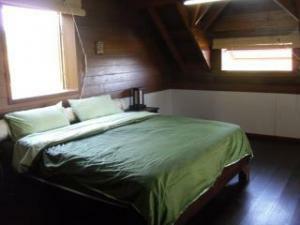 Baan Siam is located on the hill so you have a great view of the sea and the other islands. The house was even better than we had seen in the pictures on the internet. Both outside and inside impressive. Accommodation prices start from 2,000 per night for 4 people. Discounts available for bookings of 1/2/3 weeks & monthly bookings. Contact us now with your dates and we’ll get back to you.